I hiked in and around Kawainui and Hamakua Marshes to see the progress being made to restore the native wetlands in windward Oʻahu. 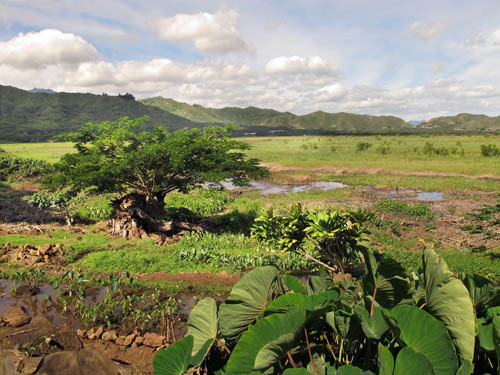 Kawainui and Hamakua Marshes are the largest remaining wetlands in the Hawaiian Islands encompassing nearly 830 acres of land in Kailua. The wetlands were designated as a Ramsar Wetland of International Importance in 2005 for their biological, historical, and cultural significance. 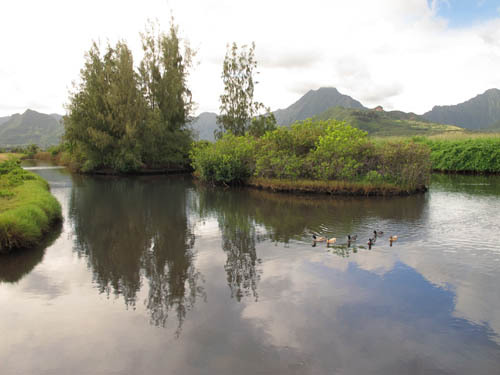 When it was announced that the State of Hawaiʻi signed an agreement with the U.S. Army Corp of Engineers in 2011 to start a new phase of wetlands restoration, I had to see the present state of restoration before the new initiative began. 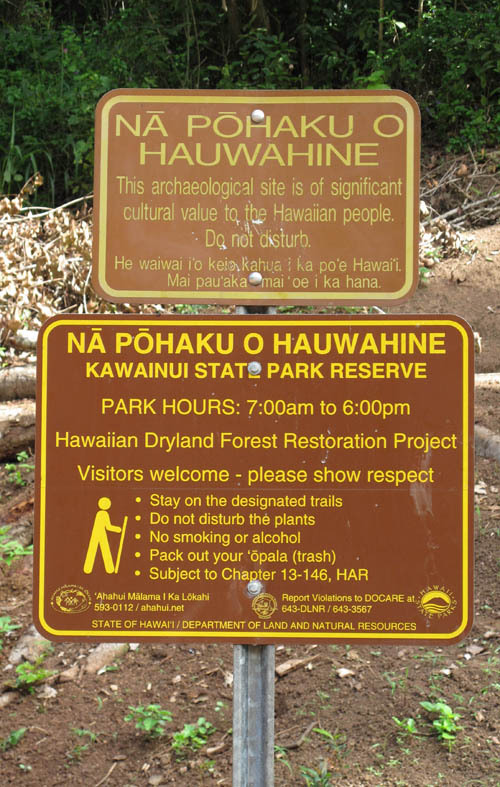 The Division of Forestry and Wildlife (DOFAW) of the Department of Land and Natural Resources (DLNR) of the State of Hawaiʻi and ʻAhahui Mālama I Ka Lōkahi began restoring parts of Kawainui and Hamakua Marshes in 1997. Under the vision and inspiration of Chuck “Doc” Burrows, the retired Kamehameha Schools science teacher who founded ʻAhahui Mālama I Ka Lōkahi, teams of volunteers from various community groups focused their efforts at these locations. The restoration work at Nā Pōhaku o Hauwahine is impressive. 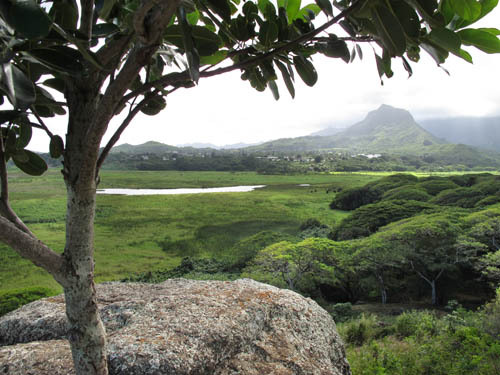 A network of trails leads from Kapaʻa Quarry Road to the top of an outcrop of boulders with a panoramic view of Kawainui Marsh, Olomana, and the surrounding area. 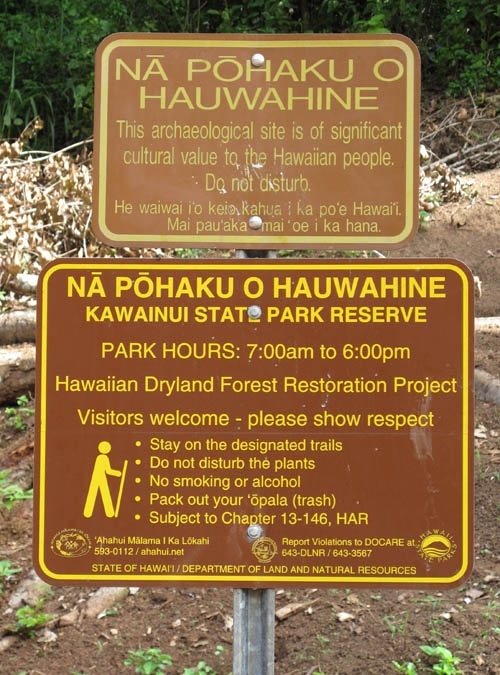 The site is dedicated to Hauwahine, the Hawaiian Moʻo goddess and guardian of Kawainui marsh. 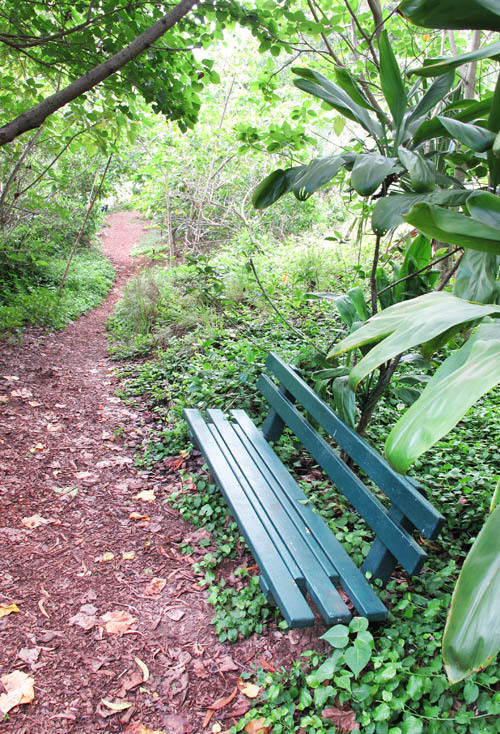 Interconnected trails lead through areas once overrun by invasive plants such as haloe koa and fountain grass, and have been replanted with native dryland and polynesian introduced plants. Benches and chairs are scattered throughout the site to enable visitors to relax and enjoy the site. 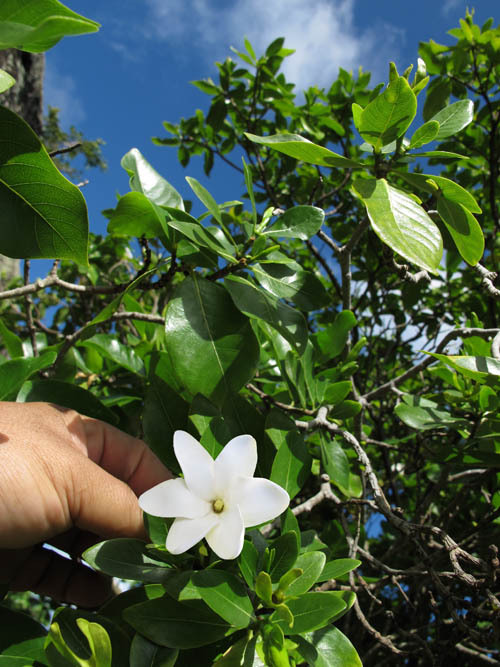 Many native dryland plants — some of them endangered like this fragrant endemic naʻu or native gardenia (Gardenia brighamii) — have been outplanted. 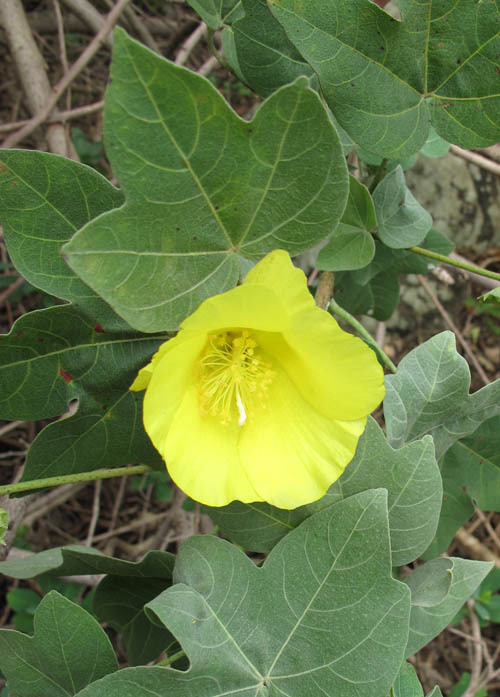 One of the more eye-catching sights were the bright yellow flowers of maʻo, the native cotton (gossypium tomentosum) which can be found in drier climates on the island. The native coastal sandalwood ʻiliahiʻole (Santalum ellipticum) has also been planted at Nā Pōhaku o Hauwahine. Sandalwood trees were indiscriminately cut down from Hawaii’s forests soon after Western contact and very few large trees remain today. 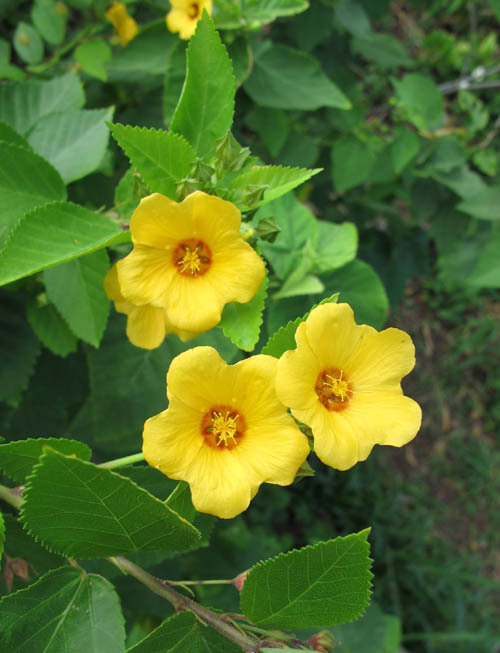 Many ʻilima flowers (Sida fallax) were in bloom as I explored the trails that crisscross the site. A water catchment system has been built to capture and irrigate newly outplanted plants. There are even bee hives which add to the ability of the plants to sustain and perpetuate themselves. The trails lead to the base of the boulders where invasive cattails and other plants have been removed to create an open area of water. Much of the marsh consists of deep water covered by a floating mat of vegetation. A good deal of the restoration efforts involves opening up the clogged waterway of plants and peat (decomposing vegetation) to create open areas of standing water as habitat for native water birds. Another site where impressive restoration work has been achieved is at Ulupō Heiau, one of the first sacred temples built as a “māpele” (agricultural heiau) by the original people or menehune. Dedicated to Kāneulupō, the site is blessed with natural springs and the system of auwai (irrigation ditches) has been restored which feed the loʻi (agricultural plots) with water where crops are cultivated. 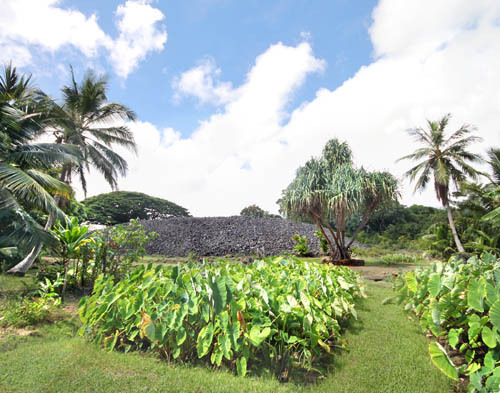 The area surrounding the marsh and Ulupō Heiau was once productive in agriculture, feeding thousands of people with cultivated kalo (taro), ʻulu (breadfruit), ʻuala (sweet potato) and other crops. It was nice seeing so many terraced loʻi being grown with different varieties of kalo. At the lower elevations of the site, the clogged wetlands have been cleared of vegetation and peat to create open areas of standing water for native waterbirds. 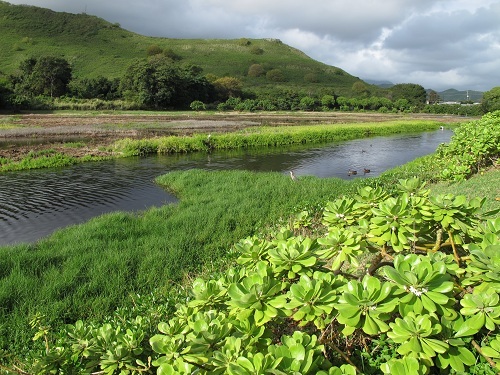 One of the most open areas of the marsh is next to Kaha Gardens where miniature islands are located in the estuary. The site is part of the area created by an earthen dam built by the U.S. Army Corps of Engineers as a flood control project for Kailua. Along much of the length of the embankment, a series of interconnected ponds have been created at the foot of the dam. Again, much of the work involves removing vegetation from the waterway to create standing water for native waterbirds. With the rushes, cattails and other invasive marsh plants dominating the landscape the work is never-ending and periodic work days must be scheduled to keep the water open. 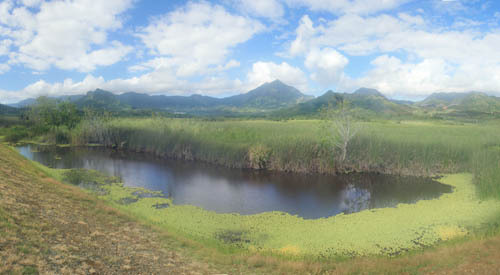 Another open area is Hamakua Marsh which was once connected to Kawainui Marsh but was cut-off on the other side of the highway when the Kailua Road was constructed. 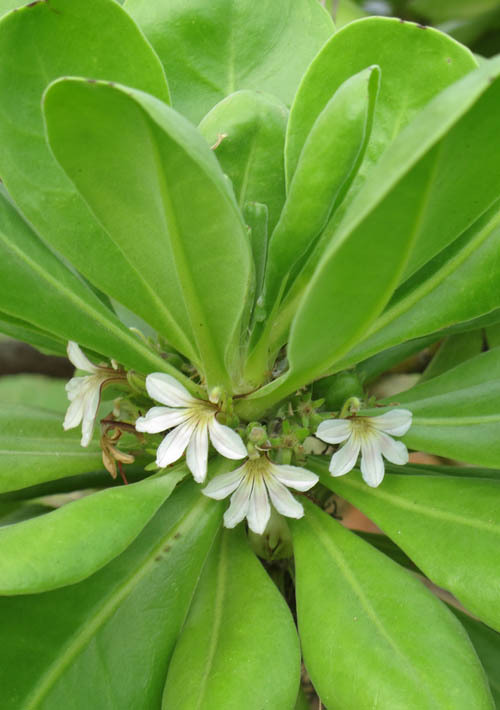 Considerable work has been made to clear the waterway of debris and to plant beach naupaka (Scaevola sericea), whose characteristic half-flowers often bloom in great numbers, along the edge of the stream. Many of the indigenous and endemic Hawaiian waterbirds congregate in the open areas of water — several of which are endangered. The birds are endangered for a number of reasons. Loss of coastal wetlands to development and altered hydrology has reduced their habitat. 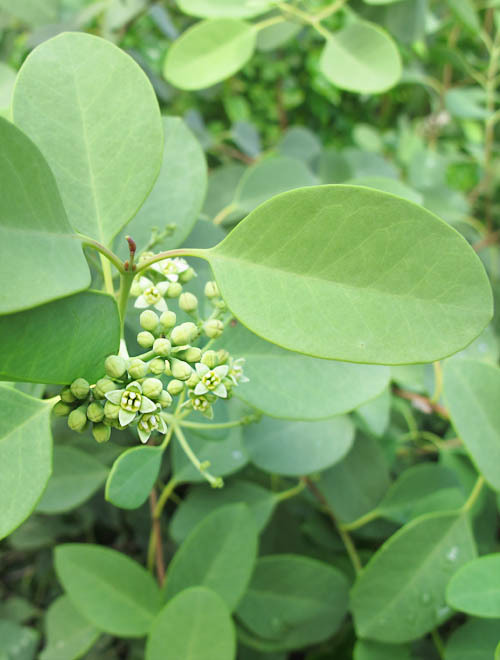 Many of the remaining wetlands have become choked with invasive plants such as pickleweed, water hyacinth, and mangrove which greatly reduce the open water, mudflats, and shallow water the birds need. The birds are also vulnerable to predators — dogs, cats, rats, mongoose, black crowned night herons, cattle egrets, barn owls, and non-native fish. 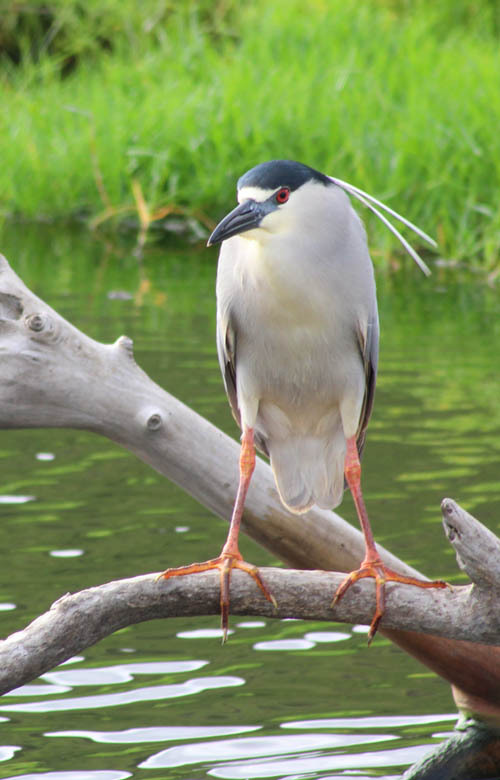 One of the largest of the native waterbirds is the ʻaukuʻu or black crowned night heron (Nycticorax nycticorax hoactli). The subspecies in Hawaii is found all over the world and is indigenous to the Hawaiian Islands. Unlike the other subspecies which are active mostly at night, the subspecies in Hawaii is active during the day. ʻAukuʻu often stand motionless in the trees waiting patiently for fish, frogs, mice, and the young of other native waterbirds to pass by upon which they swoop down from above. Perhaps the rarest of the endemic waterbirds on Oʻahu is the koloa maoli duck (Anas wyvilliana) which is closely related to introduced mallard ducks. In 2003, the koloa duck population was estimated to be 2,500 with 80% of them on Kauaʻi. 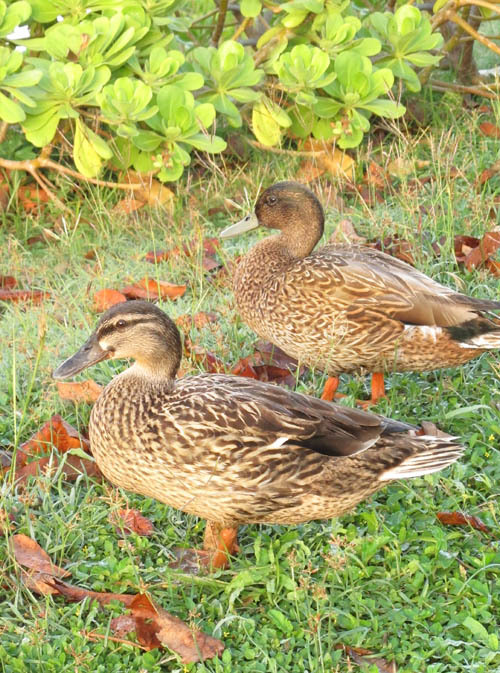 The vast majority of the koloa ducks on Oʻahu have mated with mallard ducks and are hybrids — pure koloa ducks are extremely rare and endangered. The ducks I photographed above are in all likelihood koloa-mallard hybrids. 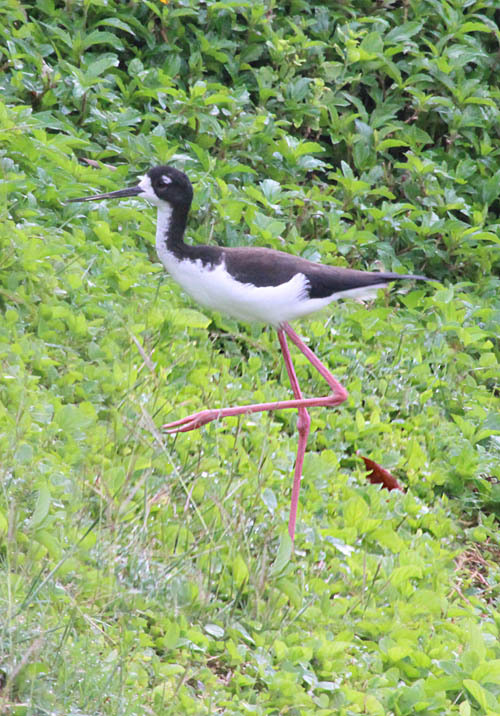 Another endangered waterbird is the aeʻo or Hawaiian stilt (Himantopus mexicanus knudseni) which is endemic to Hawaiʻi. The bird is related to stilts in North America but evolved into its own subspecies when the stilts found their way to the Hawaiian islands. In 2003, the aeʻo population in Hawaiʻi was estimated at 1,500 birds. 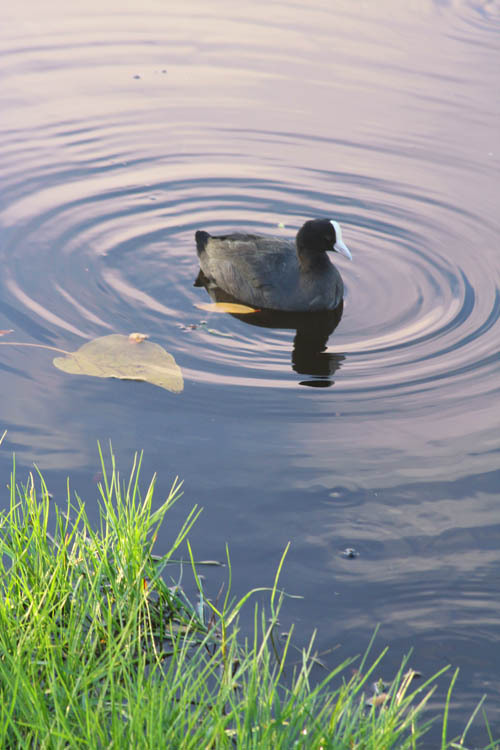 One of the more unusual endemic waterbirds is the ʻalae keʻo keʻo or Hawaiian coot (Fulica alai) which is black in color with a prominent white frontal shield and beak. 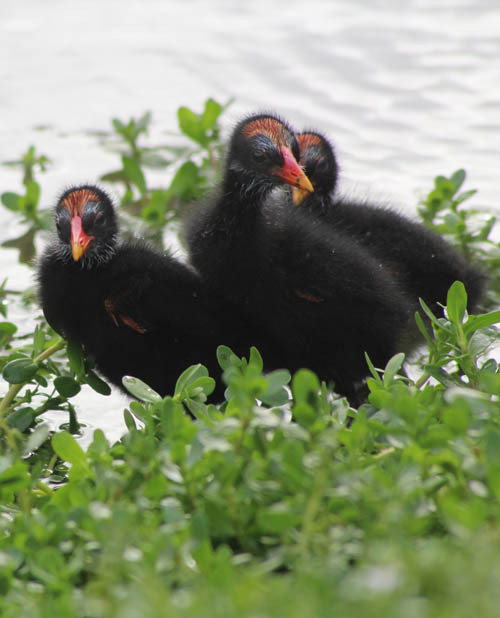 These endangered bird are secretive and build floating nests with aquatic vegetation anchored to stationary vegetation. In 2003, the ʻalae keʻo keʻo population was estimated to be between 2,500 and 4,000 birds. 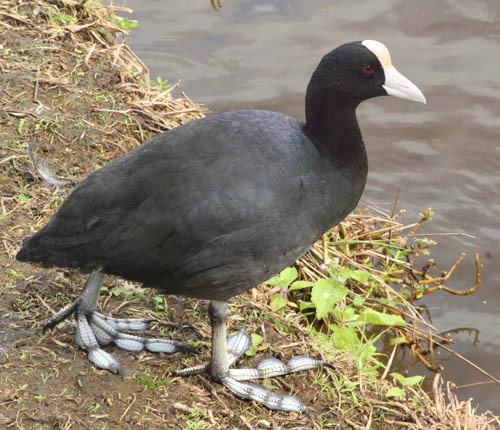 The unusual thing about ʻalae keʻo keʻo is their big feet. They have odd looking flaps that extend on either side of their toes which increase the surface area of their feet just like how webbing does on the feet of ducks. 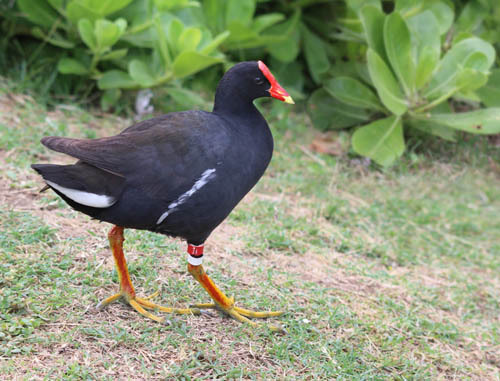 The most endangered of the endemic waterbirds is ʻalae ʻula or Hawaiian moorhen (Gallinula chloropus sandvicensis) which is mostly black in color with a prominent red frontal shield and beak that is yellow at the tip. 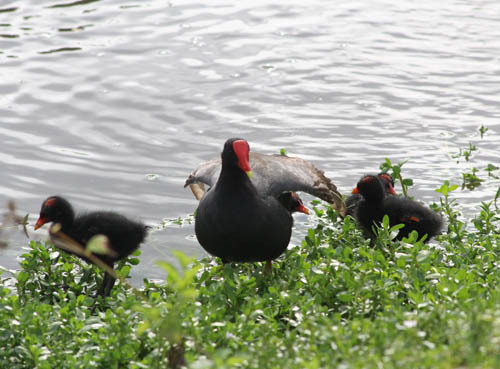 Unlike the feet of coots, the red and yellow feet of moorhen do not have any toe flaps. Hawaiian moorhen are endangered and rare — between 1993 and 2003, their average annual number hovered at just under 300 individuals. While hiding behind a naupaka shrub, I was spell-bound to see a pair of ʻalae ʻula swim ashore with their 5 chicks foraging for food. It was the first time I had seen ʻalae ʻula chicks close up. With bald red heads, bulging beady eyes, and straggly white beards, the chicks were so ugly they were cute. While making my way out the marsh I reflected on the thousands of man hours put in to restore the native wetlands by DOFAW, DLNR, ʻAhahui Mālama I Ka Lōkahi, the Kawainui Heritage Foundation, Kailua Historical Society, Hawaii Thousand Friends, Hawaii Audubon Society, and Kailua Hawaiian Civic Club. Other groups who have provided support and funding include the US Fish and Wildlife Service, Ducks Unlimited, the National Fish and Wildlife Foundation, the Hawaii Community Foundation, the Harold K.L. Castle Foundation, Kalama Land Company, the Hawaii Chapter of The Wildlife Society, Pacific Coast Joint Venture, Ameron HC&D, and the Natural Resources Conservation Service. Legislators Jill Tokuda and Pono Chong have also provided support in the Hawaii legislature. Were it not for the commitment of these organizations and individuals, the birds would have less habitat and be even more imperiled. Many thanks for their aloha and kokua. The new restoration initiative calls for the U.S. Army Corps of Engineers to remove alien weeds from the marsh and create 11 terraced shallow ponds protected from predators which is expected to cost between $4-6 million. It was very appropriate for me to see the vulnerable little chicks of the most endangered of the endemic waterbirds whose future hangs in the balance. With more habitat being created at Kawainui Marsh in the near future there is much hope their numbers can rebound. Fascinating and interesting! Thank you for sharing your knowledge, it does give a better perspective on the importance of conservation work! Nate, Excellent images of the Auku‘u. I didn’t know all this time they were native to Hawai‘i. Have these guys ever allowed you to get close? I wonder if their stink is as as bad as other mainland herons. I’ve been within 20-30 feet of herons there and could smell them. 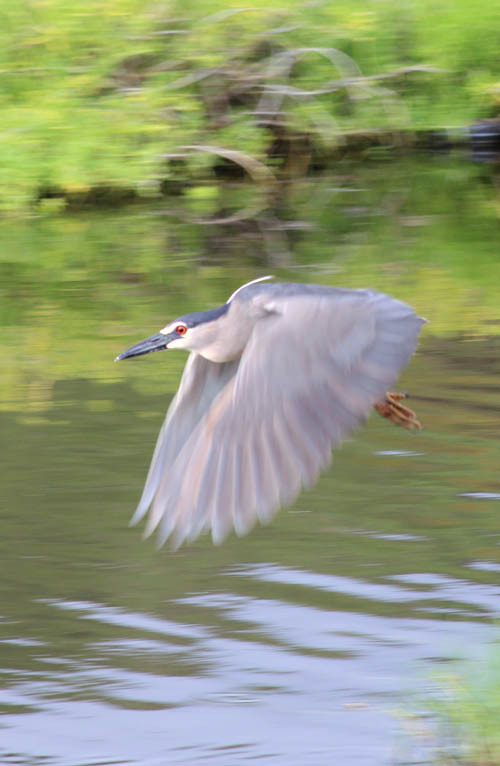 I notice here in Hawaii in marsh areas especially (I see them in river valleys here on Maui as well) that they seem less skiddish than other mainland herons. Great post again, these will look great in the Sierra Club Newsletter as usual. Hey Geoff — Yep… ‘auku’u are indigenous. I was able to get within 10 feet of the ‘auku’u but didn’t smell anything foul. What do the herons on the mainland smell like?